When diirector Vijay narrated the story of Naana to Vikram and left for his house, he didn't quite expect Vikram to wake him up in the middle of the same night, that too huffing and puffing. On enquiring Vikram said since he was asked to reduce weight for the movie so that they can get started soon, he started walking up and down the stairs; he couldn't wait. Thereafter he shed nearly ten kilos that he put on for Raavan. That's the kind of passion and love Vikram has for his art. “After hundred years when people discuss cinema and actors they should talk about an NTR, an ANR and a Vikram, that is what I aim for,” he says. Naana is Deiva Thirumagan (A God's child) in Tamil, it is about a father-daughter relationship, an emotional story with situational comedy that even if one were to take away Vikram's part, the film would be engaging and beautiful. 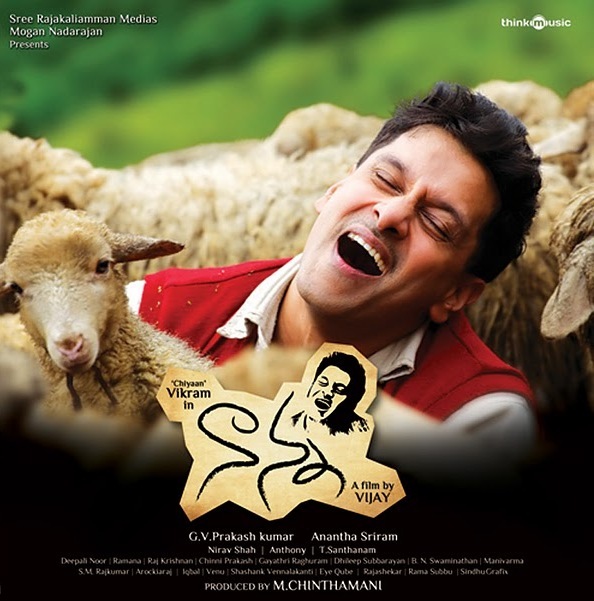 Vikram here plays an adult whose mental growth is that of a five-year-old. He has done Sivaputrudu, Kasi, Sethu and Aparichitudu on a similar genre but for this one he had to go that extra mile to look convincing. Vikram says he did internalise the character but the first 15 days were difficult for him, getting the body language to match the character's attitude. In Ooty after the shoot when he would get back to his room, change and look into the mirror and walk towards it, he would tell himself to relax, return to his self. The actor is also an ambassador of Vidya Sudha that deals with children's disabilities and his association has helped him identify with the role better and he explains that people with cerebral palsy, mental retardation grow better when they live amongst normal ones. Does he run the risk of being stereotyped. “No” says Vikram, “I've done films that deal with some disability or the other, I'm capable of doing number of films on the same subject differently”. He is aware that the Telugu audiences are more keen on seeing him in diverse roles than the people in Chennai and he will not disappoint them. Finally Vikram says that there is something about Naana that will touch children and adults alike. The audiences while travelling with the character, will smile throughout, says Vikram.